Unlike many business who have invested in websites and online stores we have concentrated on developing our lighting showroom. We have a website but this is always second place to the showroom and the continued enhancement of our shop and the expereince we offer our clients. Over the years we have sourced a gorgeous and inspired range of designer lights from suppliers and designers all over the world. Our lighting showroom showcases a selection of the best designs we have found. We only work with leading manufactures and designers and the quality of our lighting speaks for itself. 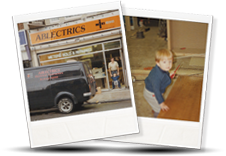 With over 44 years in the industry we have unrivaled product knowledge and a eye for the finer details. So whatever project or development you are working on we can help. Alongside a great range of lighting we also offer home automation. Control of your lighting should be easy. With open plan living now so popular the challenges of properly controling and using your lighting is a challenge. We work alongside RAKO. They make a smart range of mood controls and LED dimmers, this can even be controled from your smartphone. We have a working display of this new technology in our showroom and would be happy to discuss the benefits of this system and how it works with you. If you are an electrician please call us if you would like to arrange a showroom meeting with a more technical demonstration of the RAKO kit and how to commision it all. 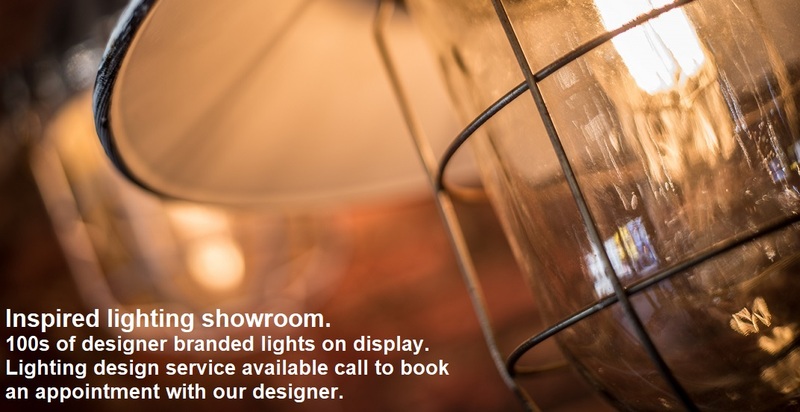 The lighting showroom is open from 7am on weekdays and we are open from 8am -5:30pm on Saturdays. We have a great team of staff who reflect the quality of our lighting. Most of our new business comes from word of mouth, as such we take customer service very seriously. We look forward to seeing you. If you have any questions or would like to speak to us ahead of your visit please feel free to call us. The lighting showroom is also wheel chair friendly. To find out a little more about our lighting design service and what we can offer please check out the lighting design page online or give us a call to book an appointment. Our showroom address is below, we look forward to seeing you soon. Watch our short video below to learn a little more about our lighting showroom and the way we work.